The first vision of the prophet Joseph Smith, if it is true, (which many don't feel that it is) is the most extraordinary event except for the death of Jesus Christ. Here we have the transcendent event of God The Father and His Son Jesus Christ appearing to a simple lad. And because of this, a thousand questions bloom from everywhere. "Why did God appear to him?" "There are no more visions!" "God can't be seen!" "God hasn't a body," and many others. There are answer to these questions, but this is not the point I wish to make. The real point here is: Why was there the necessity to have this event, and, more importantly, does the Bible gives us some clues about it? To begin our quest for answers, let's start from the apostasy. Many people don't know the meaning of this word, or that one actually happened. The word literally means: "move away from the truth". There are many scriptures which tell of a coming apostasy but the most famous one is found in II Thessalonians 2:2-3: "That ye be not soon shaken in mind, or be troubled, neither by spirit, nor by word, nor by letter as from us, as that the day of Christ is at hand. Let no man deceive you by any means: for that day shall not come, except there come a falling away first, and that man of sin be revealed, the son of perdition." Has this event already happened or is this a prophecy yet to be fulfilled? Let's take a look at history. The Catholic church says that this apostasy happened when the Protestants broke away from the church. The Protestants, on the other hand, claim that the Catholic church was the one who had strayed from the truth (although not totally). But the original Protestant was Martin Luther, who was a Catholic priest. That means, if the Catholic church had lost its authority to represent Christ, where did Luther get his authority to restore it? That would be like the ancient Jews who had corrupted the Law of Moses trying to restore their own religion. Without any authority Martin Luther could not restore anything. Therefore, he REFORMED the church rather than restored it back to it's original condition. The Jehovah Witnesses, the Mormons, the Seventh-day Adventist and a few others, did not come forth from the Catholic church. As such, they tend to support the idea that there was indeed an apostasy or a turning away from the truth. But was there actually an apostasy? Let's look as some different viewpoints. therefore perfection were by the levitical priesthood,(for under it the people received the law,) what further need was there that another priest should arise after the order of Melchisedec, and not be called after the order of Aaron? for the priesthood being changed, there is made of necessity a change also for the law." him and his message they surely would have received the greater Melchisedec Priesthood. But because the majority of them turned away from the truth, and rejected their own Messiah, the gospel was given to the Gentiles, and, along with it, the Melchisedec priesthood. Is it not reasonable to think that if the original church of Christ, (from which the Catholic church later emerged) didn't follow the teachings of Jesus -- just like the Jews didn't keep the commandments of God -- that God would have done the same as he did to the Hebrews? Although the Catholic church cannot deny the scriptural prophesy about an apostasy, they claim it is the Protestants who have strayed from the truth. On the other hand, the Protestants also believe in the same scriptures, however, they lay the turning away from truth on the shoulders of their mother church. It is for this very reason that they can justify their claim to reform the church. But look at it this way. Because Martin Luther was a Catholic priest, he had the authority to reform the church. But he received that authority from the Pope. But when he rebelled against the church, the Pope excommunicated him. What happened to Luther's authority then? Did he have any to reform the church or not? It's something to think about. It's like a blanket that's too short for a bed. If it covers the feet, it leave the shoulders uncovered. If it covers the shoulders it leaves the feet exposed because it cannot cover everything. And so it is with the reformation. We have a ballet between apostasy and authority, but the argument doesn't seem to cover everything. Peter and upon this rock I will build my church; and the gates of the hell shall not prevail against it." Because of this, each church feels that they are the true one and that they are safe from falling into apostasy. Although it is true that in the end the Church will prevail (this is foretold in many places), yet the scriptures are equally clear that there will also be an apostasy. In Revelation 13:5,7 we're told "And there was given unto him a mouth speaking great things and blasphemies; and power was given unto him to continue forty and two month.... and it was given unto him to make a war with the saints, and to overcome them"
History gives us many clues that this has already happened. The holy inquisition is one example. Priests, acting in the name of Jesus Christ, had people put to death, simply because they had a different viewpoint. This is the opposite of what Christ taught when he said we should love our enemies. Can we believe that such people, acting contrary to the ways of God could maintain their authority to act in the name of Christ? Some people feel that is possible, but I find that hard to accept. There is no doubt that there was a turning away from the truth even before the dark ages. But what happens after the apostasy has occurred? There is a very interesting scripture about this found in Acts 3:20-21 which reads: "And he shall send Jesus Christ, which before was preached unto you: Whom the heaven must receive until the times of restitution of all things, which God hath spoken by the mouth of all his holy prophets since the world began" What I find interesting is that this scriptures states that these things were "spoken by the mouth of all his prophets since the world began". I have searched the scriptures and can't find any other references related to this subject. Nevertheless, this verse clearly tells us that before the second coming of the Lord, there will be a restoration of all things. And how can there be a restoration of all things unless all things were first lost? But there is another scripture that helps clarify this point. Let's take a closer look at John 1:19-23. In verse 19 we read, "And this is the record of John, when the Jews sent priests and Levites from Jerusalem to ask him, Who art thou? And He confessed, I am not the Christ." the Jews were also awaiting another person, besides the Messiah. Specifically, a prophet named Elias. It should be noted that if the prophet Elias was also the Messiah, John would have clarified this point. However, the way he answered the question is proof enough that he knew about prophet Elias coming again. Then the Jews asked John a third question: "Who art thou? that we may give an answer to them that send us. What sayest thou of thyself? He said I am the voice of one crying in the wilderness, Make straight the way of the Lord, as said the prophet Esaias. And they which were sent were of the Pharisees. And they asked him, and said unto him, Why baptizest thou then?" It is clear from this question that the Jews were familiar with the practice of baptism as a means of repentance. If they didn't accept this practice their question would have been, "What are you doing?" or "What is this all about?" Instead they were asking about his AUTHORITY to perform this act. 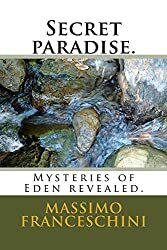 It seems certain they felt that both the Messiah (or Christ) and Elias had the right to perform baptism as part of the repentance process. Therefore they asked him if he was one of these two expected prophets. We have to remark here that at that time the Jews were waiting for three distinct people -- Elias, the Messiah and one other prophet. We have the record of John the Baptist that he knew about these three prophets. Furthermore, we know now that Christ was the Messiah. But what about Elias? In our church we believe he has already come and visited Joseph Smith.. But what about the other prophet? Who is he? Unfortunately there is no mention of him in the scriptures of the Bible. Yet, not withstanding this, the Jews and John knew knew about him. Surely they had others sources of scripture that we don't have today. 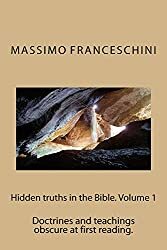 The Bible itself supports the idea that something like thirty books are lost, and it is enough to see how many new books we have now from Nag Hammadi and Qumran. 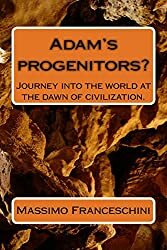 Those book were found only fifty years ago and not all are translated, Perhaps in the future we will have more clues about this important prophet. I could quote apocryphal sources, but I prefer to stay with scriptures from the Bible, only because it is common ground that we can all accept. We have seen that scriptures speak about apostasy and a consequent restoration of all things. How is it that this will all happen? In Isaiah 29:13-14 we read, "Wherefore the Lord said, forasmuch as this people draw me near with their mouth, and with their lips do honor me, but have removed their heart far from me, and their fear toward me is taught by the precept of men: Therefore behold I will proceed to do a marvelous work among this people, even a marvelous work and a wonder: for the wisdom of their wise men shall perish, and the understanding of their prudent men shall be hid." It seems clear that God is speaking of a people who are in an apostate condition. They have turned their eyes, ears and lips away from the Lord's truth. Continuing on in verse 18 we read, "And in that day shall the deaf hear the words of the book and the eyes of the blind shall see out of obscurity and out of darkness"
quoted this verse. Also, if the Book of Mormon is a fraud then we certainly need to be watching for another book to come forth from the Lord that will open the eyes and ears of people in the last days. Most of the churches today deny there are any more prophecies and visions. In fact they use I Corinthians 13:8 which reads, "Charity never faileth: but whether there be prophecies, they shall fail; whether there be tongues, they shall cease; whether there be knowledge, it shall vanish away." What I find very interesting is that many Protestants don't believe in the gift prophecies but they do believe in the gift of tongues. But Paul also said, "For we know in part and we prophesy in part. But when that which is perfect is come, then which is in part shall be done away." Has that which is perfect already come? Certainly not. It is interesting to note that Paul in chapter 14 of the same letter exhorts us to "Follow after charity, and desire spiritual gifts, but rather that ye may prophesy"
In verse 22 he further tells us, "Wherefore tongues are for a sign, not to them that believe, but to them that believe not: but prophesying, serveth not for them that believe not, but for them which believe" If the gift of prophecy is a sign for believers and we no longer believe in this gift, what does that say about us as believers? In verse 31 Paul states, "For ye may all prophesy one by one, that all may learn, and all be comforted." And again in verse 39 he tells us, "Wherefore, brethren, covet to prophesy." Maybe I don't understand the scriptures, but it seems to me we have only two conclusions here. Either Paul was crazy (and I don't think so) or the people have corrupted and turned away from the truths of the scriptures. To conclude this debate about the gift of prophecies, let me quote several scriptures. Revelation 10:11 reads, "And he said unto me Thou must prophesy again before many peoples, and nations, and tongues, and Kings." (By the way, where are those prophecies?) Revelation 11:3 tells us, "And I will give power unto my two witnesses, and they shall prophesy a thousand 200 and threescore days." These are at least two more prophets who will come and prophesy. But how can that be if the prophecies have ceased? Also in Revelation 19:10 we're told that "the testimony of Jesus is the spirit of prophecy." If the testimony of Jesus is the spirit of the prophecy, who can be a Christian if they don't believe in the spirit of prophecy? At this point I prefer that all the churches deny prophecies and visions, because this give me more power in what I am trying to prove. There are four different versions of the first vision of Joseph Smith, but only one is the official version. I mention this only because many people try to point out that Joseph Smith told different versions of his first vision at various points in his life. However, three of these version were reported by other people, and it's easy for them to add or forget something they heard. This even happened to Paul? In Acts we have two different stories about His vision. Which one is correct and which one isn't? Both of them can't be right. Bets of all we have in the Bible different accounts about the resurrection of Jesus. In Luke 24:4 it says that two angels appeared at the empty tomb to the women, while in Matthew 28:2 it mentions only one angel appearing to the women. Can I laugh? maybe the same charges given to Joseph Smith should be given to the writers of the New Testament or not? With that understanding, let's go directly to the official declaration. "Owing to the many reports which have been put in circulation by evil disposed and designing persons, in relation to the rise and progress of the Church of Jesus Christ of Latter day saints, all of which have been designed by the authors thereof to militate against its character as a Church and its progress in the world. I have been induced to write this history, to disabuse the public mind, and put all inquiries after truth in possession of the facts, as they have transpired, in relation both to myself and the Church, so far as I have in my possession." With that having been said, let me quote the scriptures that I believe supports the idea of the first vision of the prophet Joseph Smith, along with other similar visions he had, such as the visit of Moroni when he delivered to him "The Eternal Gospel"
In Habakkuk 2:2-3 we read, "And the Lord answered me and said, Write the vision, and make it plain upon tables, that he may run that readeth it [by the way, where is this vision?] For the vision is yet for an appointed time, but at the end it shall speak and not lie:though it tarry, wait for It; because it will surely come, it will not tarry." So this vision was predestined for an appointed time. It will occur at the end of time, and more importantly it won't lie. Though it may tarry, wait for it. Many will ask of me, "What makes you think this scripture refers to Joseph Smith?" That is simple. First of all, nobody believes in visions today. Secondly, only Joseph Smith affirmed to have received one. Do you have any others who claim to have received visions? I'll concede that maybe this has not been fulfilled yet, but this is the only thing I can concede to you. As such this remains a problem because almost all Christian churches declare that there are no more visions. If that's the case, then we have a scripture in the Bible that can't be fulfilled! It is interesting to note that the prophet received the command to write the vision, but in his book we don't have any clue about it, except concerning the time it will occur and the importance of it. Why is this? I guess it should be simple to say because we have to live by faith. Anyway, I wouldn't be surprised if in the future, somewhere, especially in books like the Dead Sea scrolls, we will find this important vision described. I am aware that Habbakkuk wrote down the vision but not in his book which is contained in our Bible. Let's go now to the angel Moroni who delivered the book to the prophet Joseph. In Revelation 14:6-8 we read, "And I saw another angel fly in the midst of heaven, having the everlasting Gospel to preach unto them [others Bibles translate "an everlasting Gospel] that dwell on the earth." Why does an angel have to preach the everlasting gospel, if we already had it in the Bible? Does that make sense to you? It does to me. Continuing on it states that this angel will preach the everlasting gospel "to every nation, and kindred, and tongue, and people, Saying with a loud voice, Fear God, and give glory to Him; for the hour of his judgment is come." all the other passages related to the coming forth in the last days about a book? Maybe it is possible that the whole story about Joseph Smith and the Book of Mormon is a fraud, but in this particular case the Bible would be have to be an accomplice to the fraud. The same things were said by the Jew about Christ. They claimed that He was so cunning that he was able to fulfill every scripture by fraud. In the same way Joseph Smith is often accused of being so cunning that he deliberately did things to make it appear that he fulfilled prophecy. The problem with that argument is that he never quoted at least fifty percent of the scriptures contained in this site that he also fulfilled. At least these others scriptures can't be imputed to him. To finish I ask the true believers, and those who sincerely believe in the Bible, don't take everything I say here to be perfect and true, but "there is a law, irrevocably decreed in heaven," by which it is possible to know the truth perfectly and easily, and it is contained in the Bible. "Ask, and you will receive, knock and you will be open." Many people say that it's possible for us to be deceived, but the scriptures tell us, "But if you ask bread, you won't receive a stone, and if you ask a fish you won't receive a snake." This is a promise from Jesus Himself. If you want His support, this is the time to seek it. "If any of you lack wisdom, let him ask of God, that giveth to all men liberally" Is it so hard to kneel in humble prayer to ask God Himself to know the truth? I don't think so! Either way, everybody has the right to do as he desires. One man can deceive another, and it was for this reason that I wrote "don't take everything I say here to be perfect and true" You have the right and the privilege to ask to the Bearer of all. Who better than Him to ask? Don't trust me. If you did, that would mean your faith in Him is very weak. Maybe one day He will ask you: "Did you trust on me and on my promises? If you did, then why didn't you ask of me?" I pray to the Lord that you can at least have respect for the opinion of other's. I did this web site only to defend and explain my personal belief, but I firmly respect the opinions of everybody and believe in the saying: "Two different opinions must not divide two sons of God." So let's respect each other. I suggest to read Daniel's prophecy and Master's page, they are related to the home page and to this page.